I grew up with seaweed dishes in Korea. 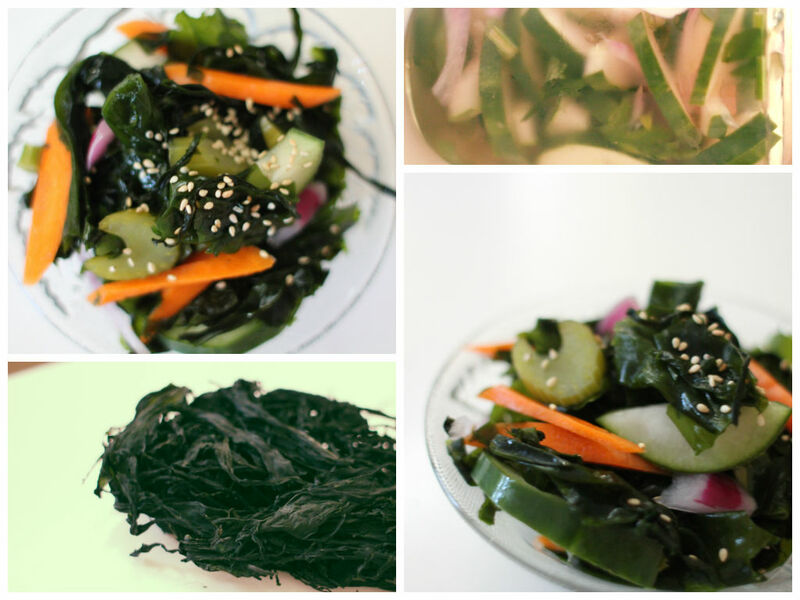 For example, Koreans eat a warm seaweed soup after giving a birth and on birthdays, a cool seaweed salad in Summer, dried ones for snacking, or just one of the side dishes in daily life. Western world is now starting to bring them to attention for better health. You can find them in a health food store or an Asian market. Most health food stores will either carry a variety of dried seaweeds in bulk or ready-to-use seaweed salad mixes that are kept hydrated and in salt in a plastic bag. Nori is rich in iron, potassium, magnesium, vitamin A, C, B2, and of course, iodine. It’s also a good source of protein. It’s available as raw or toasted thin sheets that you can wrap things in. Wakame is another one you might have encountered since it’s most commonly used in miso soup that is also served in Japanese restaurants. Wakame is high in B vitamins and essential fatty acids, which means it’s very good for your skin. Kombu, a brownish-green sea vegetable, is used to treat thyroid conditions and is very rich in minerals and folate. Dulse has a beautiful deep rosy-purple color and is also commonly added to soups or, in a powder form, used as a thickening agent. It’s exceptionally high in iron, magnesium, beta carotene, and protein! Arame is a mild tasting sea vegetable that can be added to salads and almost anything else you wish to try it with. The dark brownish strands are rich in calcium, iron, zinc, manganese, folate, and vitamins A, and K.
Irish moss is most commonly used to thicken foods, especially desserts. It’s yellowish brown and is rich in vitamin A, minerals and protein but especially rich in sulfur, which means it’s good for decalcification! So why seaweeds rock? Nori, wakame, kombu, dulse, arame, Irish moss…all plants of the sea are multicellular algae. Some are green, others are brown, or red, or even translucent. What they all have in common, besides growing in seawater, is that they’re all very nutritious, that is, very high in iodine (excellent for thyroid health), minerals, protein, and lignans, the plant compounds with cancer-protective properties. Great for digestive health: it can strengthen gut mucus (which protects the gut wall), slow down digestion (so you feel fuller for longer) and make food release its energy more slowly (ie, it is low-GI, and therefore good). It’s also high in fibre. 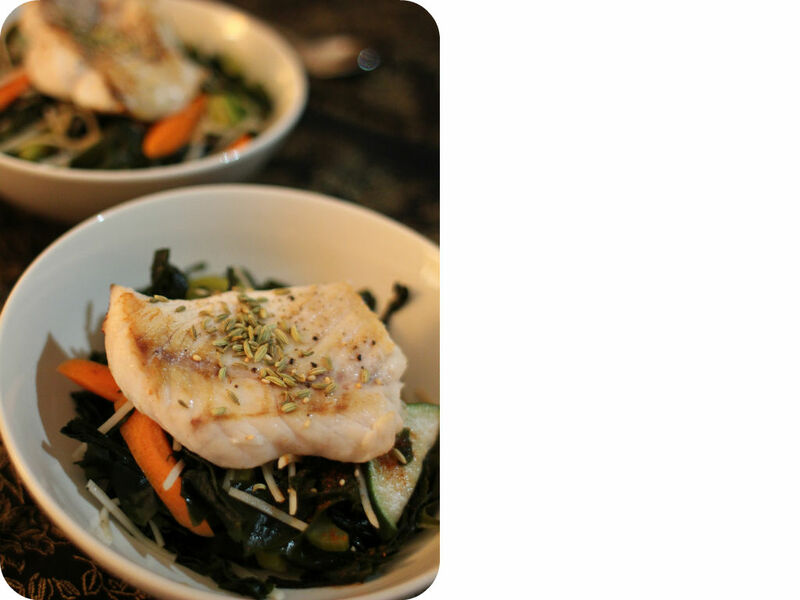 May improve heart health: Seaweed provides heart-healthy fats called omega-3 fatty acids. The Dr. Oz Show website notes that a sheet of nori seaweed contains the same amount of omega-3 fatty acids as two avocados. This type of fat helps to raise healthy HDL cholesterol levels, while lowering harmful LDL cholesterol levels. Omega-3 fatty acids also help reduce inflammation in the body. How do you use them? Flattened nori seaweed sheets are used to roll sushi. You can add them to a wrap or tuck them inside a sandwich or cut them into strips and toss into a salad or soup. Purchase dried brown or green kelp seaweed strips and add them to breads, pizzas, potatoes, pastas, casseroles, stews and soups. Or make seaweed chips by drizzling olive oil onto fresh seaweed pieces and baking until crisp.